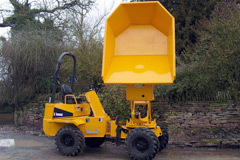 Fully rebuilt THWAITES dumpers delivered to African customer. 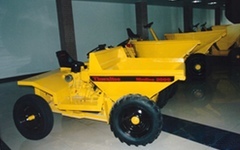 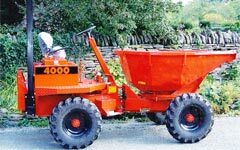 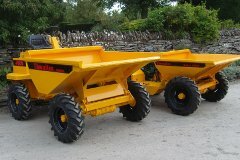 Three rebuilt THWAITES 4000 dumpers for Seychelles builders. 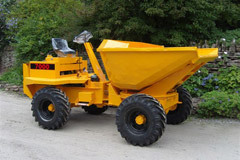 Fully rebuilt THWAITES 4000 and Orline 2500 for building contractor in Harare, Zimbabwe. 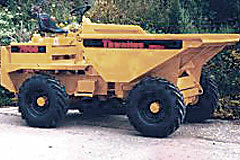 THWAITES 6000 2.5 tonne dumper for an African customer. 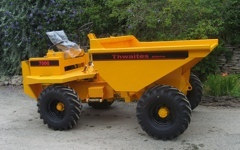 THWAITES ORLINE 2500 supplied to small mine operator in Peru. 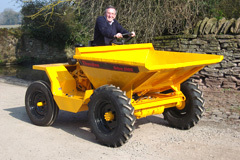 Fully rebuilt THWAITES 4000 2 tonne swivel skip dumper for canal preservation society. 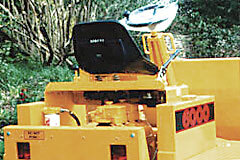 Rear of dashboard on THWAITES 6000 supplied with full road equipment and reversing buzzer for a Carribean customer. 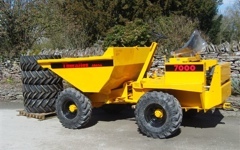 Fully rebuilt THWAITES 6000 sold to Latin American client. 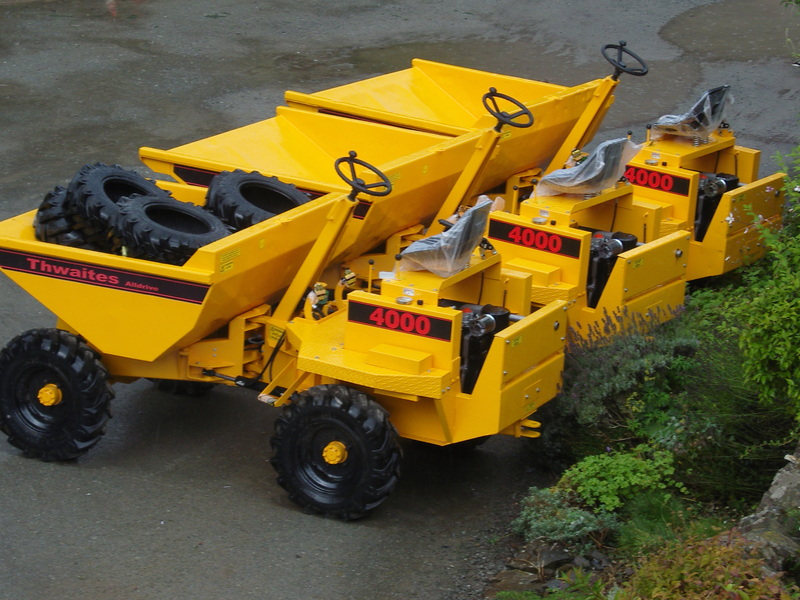 One of two high tip THWAITES 4000 2 tonne dumpers for an Australian customer. 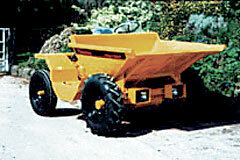 THWAITES 7000 3 tonne swivel skip dumper supplied to a Dutch customer for road building in The Gambia. 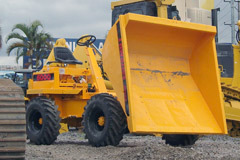 THWAITES NIMLINE supplied to City of Montevideo Maintenance Dept, Uruguay. 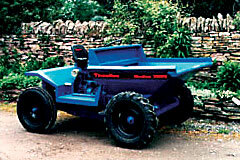 THWAITES ORLINE 2500 supplied to a minature railway in Northern Ireland. 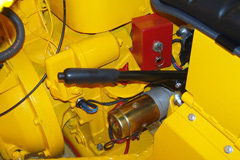 Detail of build quality on THWAITES ORLINE 2500. 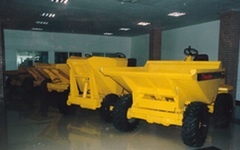 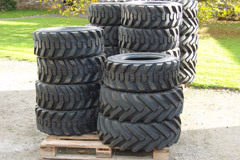 Consignment of Dumper and Bobcat tyres for Africa. 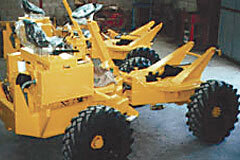 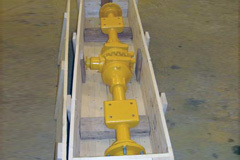 Fully rebuilt THWAITES 7000 Powerswivel supplied to North African customer. 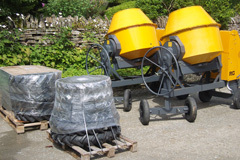 2 x THWAITES 6 Tonne Powerswivels for African customer. 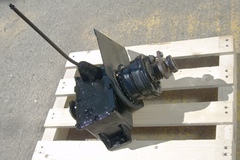 Fully rebuilt guaranteed rear axle for THWAITES 4000 for African customer. 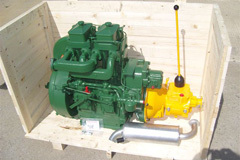 Fully rebuilt PETTER PH2 engine and gearbox for St Helena, South Atlantic. 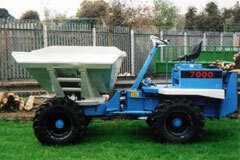 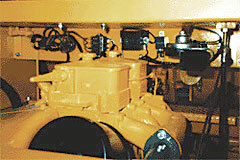 Fully rebuilt THWAITES 7000 with brand new LISTER TR3 engine for sugar company in Uganda. 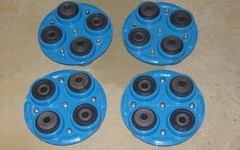 Four LAYRUB couplings supplied to Anchorage, Alaska to repair British built hovercraft. 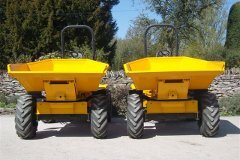 Two THWAITES 4000 2 tonne dumpers awaiting shipment to the Seychelles. 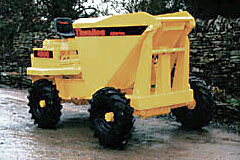 THWAITES 7000 3 tonne dumper for an American customer.